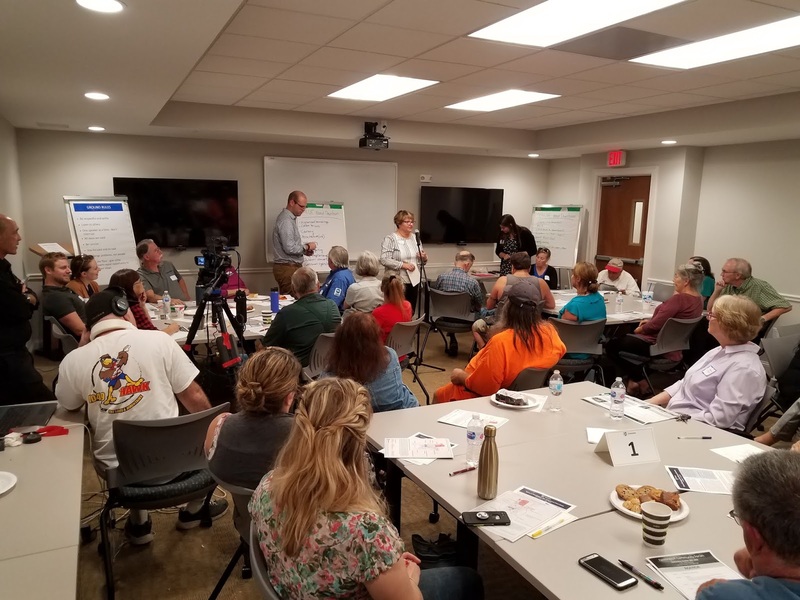 The Farmington Revitalization Forum went through as planned on Wed, October 10th. The meeting started at six and was a very productive session with over thirty townspeople attending the event at the Farmington Public Safety Building. The public discussed general ideas about potential uses for the Old Fire House as well as revitalization of our downtown. Attendees broke down into smaller work groups to visualize and brainstorm ideas, before bringing all of that information together. The forum was brought to together by the Farmington Revitalization Steering Committee in conjunction with the UNH Cooperative Extension-Community and Economic Development. View the photos in our Flickr photo albums.